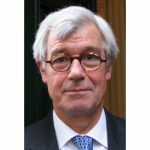 Renowned barrister Julian Burnside QC posted a tweet on 23 September pointing out that the “cruel detention” on Manus Island and Nauru has cost Australian taxpayers over $9.6 billion, and the cost of detaining each of the 1,650 remaining asylum seekers on the islands is $570,000 a year. 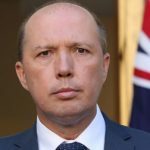 The long-time critic of the government’s offshore detention policy went onto thank home affairs minister Peter Dutton for this state of affairs, before recommending that people “kick him out” and “vote Coyne,” as a better way is possible. Mr Burnside was signalling that he’s supporting Queensland Greens candidate Benedict Coyne in his bid to oust Dutton in the marginal seat of Dickson in next year’s federal election. An Oxford-educated human rights lawyer, Mr Coyne is something of the polar opposite of his opponent in the upcoming vote. Where Dutton is all about harsh and divisive policies, Mr Coyne makes clear that he has the interests of the people of Dickson at heart. “I know Benedict professionally, a bit,” Mr Burnside told Sydney Criminal Lawyers®. “He’s a good bloke, and honest.” And he went onto explain that entrepreneur and conservationist Michael Myer had asked him to hold the event at his house. “Dutton is dishonest and a hypocrite,” the lawyer continued. “I think he is arguably the worst federal MP we have had in Australia.” And he pointed to a recent comment the former immigration minister made that outraged him. 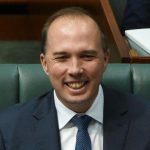 On 23 June, Mr Dutton was quoted as saying, “It’s essential that people realise that the hard-won success of the last few years could be undone overnight by a single act of compassion.” The minister was referring to his perceived need to keep asylum seekers in prolonged offshore detention. “I never imagined we would hear a senior minister of the Crown argue against compassion,” Mr Burnside remarked. 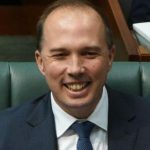 In his recently released documentary Border Politics, Mr Burnside makes the case that Dutton, along with all of the other Australian immigration ministers since October 2002 – “with the possible exception of Chris Evans” – are guilty of crimes against humanity. Section 268.12 of the Criminal Code Act 1995 makes the unwarranted imprisonment or the severe deprivation of physical liberty of civilians a federal offence. This crime carries a maximum penalty of 17 years behind bars. 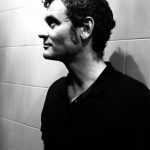 Mr Coyne explained that Mr Burnside, who’s “notoriously non-partisan,” and his wife artist Kate Durham are amongst a growing number of people who are moving to support the Greens in the coming federal election. 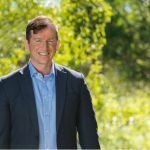 Indeed, it was this promise of a forward-thinking future, that led Michael Myer – of the Myer retailing dynasty – to throw his support behind Australian Greens leader Richard Di Natale at the time of the last federal election. 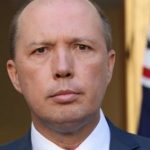 While the results of the leadership spill, recent scandals about decisions he made in his time as immigration minister, as well as questions about his eligibility to sit in federal parliament have shaken minister Dutton, he’s still a formidable force in the party room. And as home affairs minister, he holds great power with the Australian Border Force, ASIO and the Australian federal police all under his tutelage. But, where Peter Dutton is vulnerable is in his marginal seat of Dickson. The minister has held the seat since 2001, but support for the former Queensland police officer is wavering. In the 2016 election, he suffered a 5.2 percent swing against him, leaving him with a mere 1.6 percent margin. And while a recent boundary change has improved Mr Dutton’s distribution slightly to a margin of 1.7 percent, this still means that it would only take a shift of about 1,500 votes to knock Dutton off his political perch. So, it seems the minister known for stirring up racial hatred, boycotting the national apology to the Stolen Generation and voting against removing children from immigration detention may have his days numbered. For more information about Mr Coyne’s campaign and to support it visit www.doitfordickson.com.